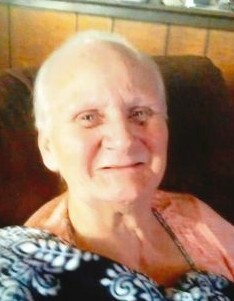 Delores Llouise Titus, 76, Peru, passed away at 1:06 p.m. on Wednesday, January 16, 2019, at Lutheran Hospital, Ft. Wayne. Born October 25, 1942, in Cass County, Indiana, she was the daughter of William Nickels and Mary Alice Warner Nickels. She had worked at United Tech/Lear in Peru for over fifteen years. Survivors include three children, Donald Mosley, Jr., Tammy (Jerry) Hiles, and Raymond (Keshia) Mosley, all of Peru; twelve grandchildren, eighteen great-grandchildren, and three great-great grandchildren; and two sisters, Donna Tyre, Peru; and Wanda Sue Nickels, Logansport. She was preceded in death by her two husbands, Donald Mosley, Sr., and Larry “Crow” Titus; one daughter, Tressa “Tweet” Bowman; three brothers; and five sisters. Funeral services will be held at 2:00 p.m. on Monday, January 21, 2019, at McClain Funeral Home. Visitation will be from noon until the time of service on Monday, at the funeral home. McClain Funeral Home, Denver, Indiana, has been entrusted with arrangements . The online guestbook can be signed at www.mcclainfh.com.